Tail docking is the practice of removing a dog’s tail without anesthesia when he or she is a puppy. It is a procedure that has been restricted or banned in many parts of the world, but it’s still popular in The United States and Canada. The first recorded incidence of tail docking took place in Ancient Rome; Roman shepherds believed that removing the top of a dog’s tail on the “puppy’s fortieth day” prevented rabies. In the 18th century there was taxation on all dogs unless they were working dogs. Working dogs’ tails were subsequently cut off to distinguish them from the non-working dogs, which of course led to owners cutting off their non-working dogs’ tails just to avoid getting taxed. 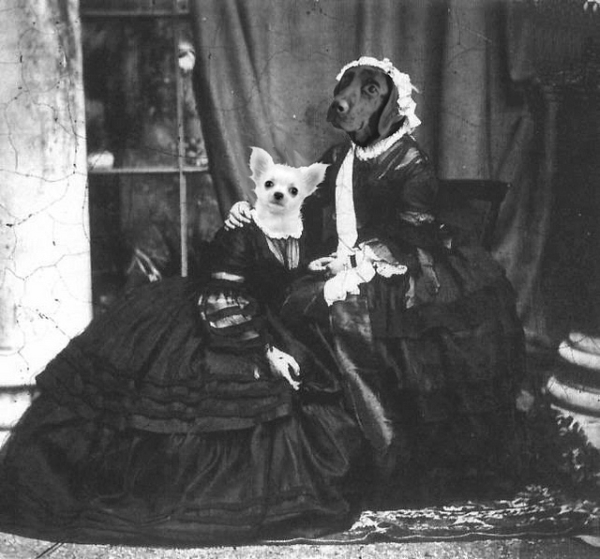 Apparently, the reason dogs’ tails are still docked today likely stems from a book published in 1891 titled The American Book of the Dog, which idealizes tail docking and ear cropping as the “proper look.” How Victorian! Of course, some people say tail docking is not just an aesthetic preference; proponents of the procedure say that tail docking prevents injury later in life. 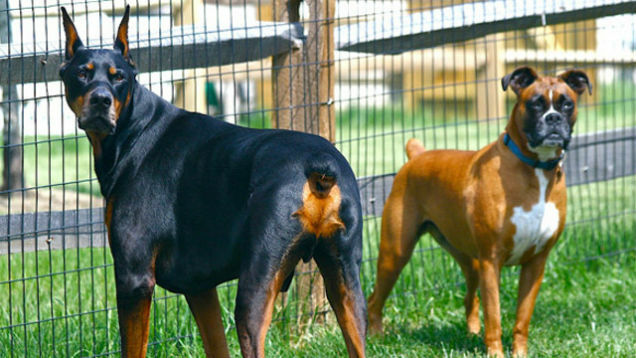 For guard dogs, a longer tail could be grabbed to thwart an attack, and for hunting dogs, a longer tail risks being injured in the underbrush. The rationale seems to be that you can’t injure a limb you don’t have. According to a 2010 survey of 138,212 dogs in Great Britain, not only was there a negligible difference in tail injuries between working and non-working dogs (without tails v. with), but the risk of a dog injuring his/her tail was only 0.23 percent. That means that 500 dogs would have to be docked in order to prevent one tail injury. Tail docking is banned in Australia and most of Europe. In 2006, the Animal Welfare Act banned tail docking in England and Wales for all dogs except dogs working in “law enforcement, armed services activities, emergency rescue, lawful pest control,” etc. The Animal Welfare Act also says the dog’s tail must be docked by a veterinary surgeon in the first five days of the puppy’s life. In the United States and Canada, where there are no restrictions to this procedure, many people take it upon themselves to dock a dog’s tail. This method involves placing a ligature (often a rubber band) on the tail to cut off blood flow. After a few days the end of the tail falls off. Professional tail docking done by a veterinarian surgeon is a safer alternative. However, the surgery is not accompanied by anesthesia or stitches. There is a lot of debate as to whether or not surgical tail docking is painful. Many defenders say that the nervous system of a puppy isn’t developed enough to feel pain. However, multiple studies prove that while the pain a puppy feels during tail docking isn’t quantifiable, it is almost certainly present. Tail-docking does introduce potential medical risks such as infection, neuromas (the painful regrowth of nerve tissue after amputation), and even incontinence. Tail-docking also deprives dogs of one of their chief ways of communicating. Evidence shows that dogs communicate with their tails. 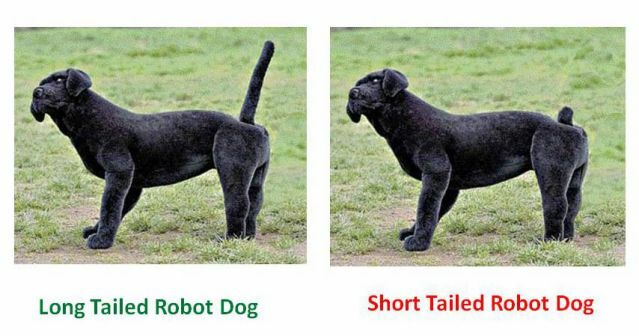 For example, a study at Canada’s University of Victoria observed a robot dog equipped with either a long or a short tail at an off leash dog park. Their findings proved that dogs were processing visual cues from the dog with a longer tail much faster and more easily than the dog with the shorter tail, whose cues were a bit of a mystery for many of the dog at the park. Of course, some dogs are born with bobbed tails they are also born with more capacity to engage than a robot dog, which is why most naturally bob-tailed pups are fine socializing with other animals. The study just goes to show that tails are a very effective tool in canine communication. It is important to note that not all dogs with short tails have had the docking procedure performed on them. Several breeds are born with “bobbed” tails, meaning they’re naturally short. There’s no telling how long it will be until this controversy is settled, but if there’s one thing we know for sure is that tails are pretty cute.